Sean Hammond reviewed the Anti-Trust Statement with the Committee. Sean asked if there’s any correction to the 4th Quarter Meeting Minutes. Russ Hegedus moved we accept as read. Andy Eckberg Seconded the Motion, with voice vote, the motion passed. Steve Cuvala presented the Treasurer’s Report Program Funding year to December 31, 2018. Cash balance is currently $33,098.19 in the positive. Income for 2018 is 24, 404.66. Total expenses for 2018 was 19,403.13. ITFC received a check from ATFS for required inspections completed, which will be deposited in 2019. There’s was one expense recorded in 2019 as of date. Current balance to date for 2019 is $33,825.01. Kirk David moved we file the treasure’s report for review. Andy Eckberg seconded the motion. With a voice vote the motion passed. Doug and Sean had got together the week prior to prepare a draft budget. Doug went over the budget with the committee. It was asked if Steve Funk will do the OTFOY sign again, he said yes, he would. John Lillehaug asked about the “Forestry for Southern Idaho Tour”, budgeted for $500. It was discussed about the Family Forest Landowner Conference, payment was paid of $65 for registration for a display table. Regarding funds to cover the assessment, Doug let the committee know that National will pay $1000 now and $100 per each of the 20 audit sites later this summer for a total of $3000. The budget stands as approved. Kirk David moved approval of the budget, Andy Eckberg seconded the motion. With a voice vote, the motion passed unanimously. Communication Chair, Erin Bradetich, said there will be a newsletter coming out soon. She had the Family Forest Landowners & Managers meeting but needed more topics for the Newsletter. It was suggested to enter about the audit to continue letting people know what is happening. A list of tree farmers was chosen to be assessed by PricewaterHouseCoopers (PwC). Per Mary Fritz it will be an opportunity to show off their tree farm. Discussion about the NRCS meeting that the EQIP application had a deadline of two weeks, which several of the tree farmers felt it was not acceptable. Chris Schnepf suggested an article might serve as a reminder. Chris did say UI Extension does have a 3-month schedule of events published. Sean asked if it was necessary for contractors to preregister for LEAP training and Chris indicate, yes, that is a requirement. Sean requested to table these topics until after the audit is over. Kurt Koetter voiced a motion to curtail until the July meeting. Steve Funk seconded the motion. With a voice vote, the motion passed. b. Let the committee know who the Inspector of the year is for 2018, Robbie Easley. Russ Hegedus introduced Robbie Easley to the committee. Tim Schaffer nominated Robbie Easley for the Inspector of Year. Treasurer – Madeline David. Kurt Koetter made a motion to nominate Madeline as Treasurer. Mary Fritz seconded the motion. With a voice vote, the motion passed Madeline as Treasurer. It was discussed if Madeline should take over the position in April or now (January). Madeline felt it would be better to accept position at the beginning of a year. It was agreed she would begin immediately. Budget Subcommittee: Doug Bradetich will continue as chair. Communication Subcommittee: Erin Bradetich will continue as chair. The audit preparation meeting was January 16, 2019 with Kristina Duff. There were 20 Tree Farmers picked to be assessed by PricewaterHouseCoopers (PwC). The tree farms picked for the 2019 assessment are located at Idaho, Valley, Shoshone, and Benewah counties. It’s very important to all the tree farmers that were picked to make sure their management plans are up to current standards as soon as possible. Per ATFS Standards of Sustainability, the contiguous & non-contiguous parcel issues need to be corrected. Karen of PwC was very impressed with Idaho getting a premium for logs from tree farmers. Mary Fritz asked to meet with the district chairs & any inspectors that are on the list right after the ITFC meeting. Janet Funk reported there was a meeting Nov 1st in Coeur d’Alene. The biggest focus is on Priority Landscape for all lands. The Forest Action Plan-Purpose is to help landowners and managers in Idaho identify projects and activities that reduce threats to forests. How to format maps with GPS, size pixels, how its effects water quality, wildfires and could allow crew members to be more aware of their location. They could improve safety. The ecosystem benefits the forests. Environmental or Climate Change- Governor Little, Says Climate change is real and here. Per Chris Schnepf the government did research on Climate change. Good Neighbor Authority-Private property with needs-up and coming discussion. Due to computer connectivity issues, Mary Fritz was not able to access all of her records at the meeting but reported there were no major issues regarding PLT to report on at this time. c. 2019 NLC will be held in Louisville, Kentucky on Feb 26-28th, 2019. Erin Bradetich & John Lellehaug will be attending. d. IFOA/Tree Farm Annual Moscow Meeting, March 24-26, 2019. 1. What to get or signs Tree Farmer of Year-Larry Cook, Logger of Year-Thomas Mackey, & Inspector of Year-Robbie Easley. Steve Funk volunteered to make the sign and plaques. 2. Inspector gifts & awards-ideas? Sean Hammond suggested no more vests, but Robbie Easley said he would take a vest, size XL. John Lillehaug suggested gift cards or certificates, since a lot of inspectors have a quality of hats and t-shirts. Chris Schnepf suggested using Zome in Spokane for printing, Kirk suggested Bob Faulkner, and Russ suggested Pyramid Printing locally in CDA. It was suggested that we get more hats and a few winter hats with ear flaps. It was asked do all inspectors have to be graduate foresters? The answer was yes or have taken a range of required forestry classes. It was suggested inspector with 1 tree farm-a $15.00 gift certificate, 5 and over more monies. One suggestion was hat tac. It was suggested to ask National what they have available for outreach. 4. No Host Bar for the Awards ceremony & then dessert hour for the P.O.Y. What changes would we like to see this year? Per Kirk David the FFLOC social that was held previously in the mall will be in Best Western this year, prior to the ITFC meeting. The FFLOC Steering Committee would like to combine with the ITFC social hour and split the cost between ITFC and FFL&MC, hoping more people will attend. Doug Bradetich moved to combine FFL&MC and ITFC Social and Kurt Koetter seconded the motion. Janet Funk suggested instead of having the dessert hour in another room have it in the same room as the social and meeting. Janet thought if we got a big cake everyone can enjoy it and visit. Sean moved that we have dessert in the same room. Madeline David seconded the motion. With a voice vote, the motion passed. Per Kirk David, IFOA and ITF split the cost, when Marcus Smith went last time. He would like to go again this year. The Fly-In is every two years. The date for the Fly-In is May 1 & 2, 2019. Doug Bradetich moved to add $250 to the budget for the Fly-In. John Lillehaug seconded the motion, with a voice vote, the motion passed. John Lillehaug introduced his replacement at the IDL office, Scott Sievers. Scott will also become a tree farm inspector. Colleen Meek asked for suggestions on a location if the fire hall isn’t available in April. ITF will have the July and October meetings at the UI Extension Office. Janet Funk volunteered their barn for our April meeting if the fire hall isn’t available. Sean Hammond adjourned the meeting at 11:20a.m. Russ Hegedus reviewed the Anti-Trust Statement with the Committee. Russ Hegedus entertained a motion we accept as read. Motion approved. Steve Cuvala presented the Treasurer’s Report Program Funding year to date Cash balance is currently in the positive. Income was received from ATFS for required inspections completed, IFG for stumpage premium, and Enterprise Rental refund of deposit for IT Tour car rental. Doug reviewed the current budget. It was suggested that the committee purchase a projector and box, since Doug would like to relinquish this task and asked for a volunteer to replace him. There was no response. Doug Bradetich moved approval of the Treasurer Report, Kurt Koetter seconded the motion. With a voice vote, the motion was carried unanimously. Communication Chair, Erin Bradetich, was absent Doug Bradetich filled as proxy for Erin. A fall newsletter will be coming out first part of November 2018. Doug asked for suggestions for more topics for the newsletter. Committee discussed the question about UI Nursery Advisory Committee’s apparent refusal to acknowledge our representative from ITFC and IFOA’s representative (Steve Funk). a. 2018 Outstanding Tree Farmer of the Year Tour, September 8th, 62 tree farmers and guests attended the fall tour. It was suggested next year might have different lunch menu. b. Certification Chair filled with Mary Fritz. Mary was wondering what her duties would be as a certified chair. Mary will work with Matt Engberg & National on audit logistics and keep will the state chapter informed. The new standards will be coming out for 2020-2024 Tree Farm Standards for Sustainability (forest management plan requirements) and maybe do some inspector training at the Moscow meeting. c. National survey by Edge Contracting to clean up database. The research will be done around the end of October. There will be three categories Decertification, Pioneer, and Certification. The Tree Farmer should also be asked if they’re participating in Idaho State Forest Stewardship Program. After a lengthy Committee discussion for dues implementation, Doug stated that the previous vote was for a flat $10.00 per year and per tree farmer, as a couple will equal one. Doug moved to reconfirm this previous decision. Kurt Koetter seconded the motion. With a voice vote, Motion accepted unanimously. Kirk David questioned whether the ITFP, as a 501(c)3, (which IRS rules designate as a non-membership entity) could charge membership dues. Colleen Meek said, the ITFC accountant advised “dues”, but Kirk David said IFOA has both a (c)6 membership entity and a (c)3 non-membership entity for that reason after actively checking on IRS rules. Non-profit 501(c)3 entities can accept donations, so care should be taken as to how this arrangement is characterized. Mary Fritz reported (Per Michelle Youngquist) there will be 18 workshops in 2019 & Training for college students, including the Sustainable Forestry Tour for Teachers & Counselors. PLT will have the Photo contest, Arbor Day (last Friday in April), Essay contest, and the National Forest Product Week (3rd week in October). The STEM Outreach has approx. 2,000 participates in Idaho. The ITFP representative Janet Funk stated the only current news at this time is that the IDL’s Forest Legacy Program had two applications this year (Schweitzer Mountain Resort and Molpus/Hancock), but Schweitzer later withdrew. a. Required: What’s been assigned & what’s been done? Tim-District 2 – 2 Requires will be done by end of November. Andy-District 1 – Mike and Steve are working on them. Erin is working on 3 requires. b. Optional and Pioneer’s – What’s been done? District 1 – Doug said, he’ll have Mitch Westfall and Drew Westfall done in couple of weeks. District 3 –Couple Optional will be done by end of November. 9. The vote on assessing a “Dues based membership to each Idaho tree farmer a due” i.e. Bob and Sue Jones get 1 due for the year. Likely due April 1, 2019 to renew again and be due on January 1, 2020. This topic was discussed earlier in the meeting, “Old Business, section d”. a. Future ITFC Open Positions for 2019-2020. Communication-Will Erin still hold the position? There was a discussion that took place for 2019 Logger of Year, 2019 Inspector of Year, and 2019 Tree Farmer of the Year, the announcement to be made at the annual meeting in March. c. Mary Fritz reported there will be changes in the Forest Stewardship Program. It is uncertain how this will affect the IDL Program. There are more questions than answers right now. The new direction will focus on work taking place across ownership and within priority landscapes. The Forest Service and State coordinators and others will work to try to roll out in 2020. Russ Hegedus adjourned the meeting at 11:12a.m. Sean Hammond approved April 19, 2018 minutes as read, Tim Schaffer seconded. Motion accepted unanimously. Doug Bradetich represented Steve Cuvala in his absence at the meeting. The Treasurer’s Report Program Funding year to date $5335.89. Beginning balance as of 1/1/18 was $28,097.66. Cash balance is currently $33,433.55 in the positive. Doug went over the current budget for 2018. Discussed prep fees for taxes. It should be budgeted for taxes each year. Program funding from National was discussed from the required Tree Farm inspections. It was discussed after the survey with Edge if a tree farmer that hasn’t be heard from their Tree Farm will be put on Pioneer for 2 years & if not heard from by then, that Tree Farm will be decertified. Any Tree Farm that has been put on Pioneer will not be charged a fee for audit. Tree farmer dues will be put on hold until after October since there’s a data cleanup for the state of Idaho by National & Edge Research. The estimate cost could be anywhere from $8 to 12. It was suggested maybe the tree farmers should just be charged $15.00 per year. It was discussed that IFG incentive is around $16.000.00 per year. Southern Tour was a little more than budgeted for due to motel rooms and doesn’t have all the receipts for supplies. Doug hasn’t seen any receipts for Forestry Idaho Legislative. There haven’t been signs ordered this year. Sean Hammond moved approval of the 2018 Budget, Rob Keefe seconded the motion. Motion carried unanimously. Communication Chair, Erin Bradetich, updated the committee that another newsletter should be coming out towards the end of the month. Doug asked for suggestions for more topics for the newsletter. Suggestion were as follows: More regarding Edge survey, Assessment of audit, Teachers tour (43 plus 6 IDL and other tree farmers to fill about 80 attendees, and Mary suggested Stewardship One Plan. a. Forestry in Southern Idaho Tour, May 16th, 2018, 58 folks attended. The attendees were very pleased with the tour. Russ Hegedus and Tim Schaffer attended the tour. b. Inspector training Chair filled with Matt Engberg. Not present due to unseen circumstances. He’ll follow up with Andy Eckberg, Tim Schaffer, and John Lillehaug on the 2020-2025 guidelines. The data cleanup is free for the state and takes about 5 months. The research should be done around the end of October. The Tree Farm Program should know how many certified tree farmers are still in the program, husband & wife will be as one tree farmer. The cost is figured by annual fee divided by certified tree farmers equals the annual cost. Hopefully by April 1st, 2019 the billing will be mailed. Janet Funk suggested maybe have a 1-year, a 3-year payment and a 5-year payment, let the tree farmer have an option. The discussion was curtailed until more is known after the National & Edge Research study is done. Couldn’t be present for the meeting. There will be an Opinion Leaders Tour in September. The ILRCC meeting was at Idaho Falls, Idaho. They went on couple of tours. Urban Forestry shaded town on the river walk. The city energy is generated from the Snake River. The IDL restoration project in on a portion of the Teton Creek close to the eastern edge of Idaho. Valley like Horseshoe area protect the homes with a belt of Aspen Trees. The Aspen is fuel break to stop fires. USFS is doing a study claiming the strategy Aspens doesn’t burn like conifers. If a person looks up in the middle of the valley you can see how it was built with the Aspens. The LSR (Landscape Scale Restoration) projects were reviewed. How to adjust the budget. The Forest Legacy Program update the Switzer got dropped off (prevent development on the backside). Switzer will reapply. The Forest Action Plan is continuing-shows risks and benefits. There’s a map that shows the risks. There will be a discussion on the moth outbreak. There will be a Climate conference October 9th/10th. The next meeting for ILRCC will be in October. Discussion on this topic has been done earlier in the agenda. c. We are discussing candidates for Outstanding Award of the Year. Tim Schaffer had a prospect for Tree Farmer of the Year, Forever Green Tree Farm (Larry Cook). He has 60 acres of timber at St. Maries. Sean Hammond had a prospect for logger of the year. Gary Jenkins, he’s been logging Warren Smith’s property for over 10 years. Janet Funk suggested the Tree Farm Program can have a tour on the suggested tree farmer and logger. There will be Outreach Forest Owner Tour in Bonners Ferry, September 14th. Headed by Clinton McKlintock. Russ asked that the RP number be included on the legal. 9. The vote on assessing each tree farmer a nominal annual fee per tree farmer as a family unit which is expected to be between $8.00-$12.00 per year to cover the cost of SFI Certification is on hold until the database has been updated around mid-October. November National wants us to roll non-respronders to Pioneer w 004 form and they won’t be audited. This topic was discussed earlier in the meeting. The non-responded tree farmers will be moved to Pioneer. The audit will be July 2019. Brian would like to set up the tent, chairs etc. at the south fork gate. Will meet on the Mica Bay Land Company property about 11 miles S of Coeur d’Alene on Whitlaw Road through the gate. Brian would like to have the tour look at an active job first. This will be 1 hour to 2 hours. Erin Bradetich suggested that this been done before lunch. Tour should be mentioned in the newspaper and newsletter. Kirk David will mention the tour in the IFOA newsletter. Janet & Steve will get a hold of Schafflemeyer to cater the barbeque and will check if they have chairs for the tour. Russ will pick up cold beverages from Costco. Colleen will order 2 honey buckets, order the tent and chairs, if Schafflemeyer doesn’t provide any chairs. Colleen will pick up donuts. There were 4 SUV passenger cars order that will hold 7-8 passengers. There were no vans available on September 8th. Colleen called various car rentals in the area this includes Sandpoint, Spokane and Coeur d’ Alene areas. Kirk and Madeline volunteer to make coffee but there will not be no power, a generator was suggested. d. Signs will be needed. a. Next meeting date: Thursday, October 18, 2018.
b. Rob Keefe had an update, Kurt Pregitzer, Dean of College Research retired. A new forester Matt Hajos will work with Rob. They might have an Active Research tour for students in spring, April or May. c. Janet and Steve have completed their larch seedling orchard. They have planted this spring 234 seedlings. Russ Hegedus adjourned the meeting at 11:45a.m. Sean Hammond moved the meeting be adjourned. Kirk David pointed out there was one correction in the minutes in New minutes, section j-IFO/Tree Annual Moscow Winter Meeting March 25th-27th, 2018. The word plague should say plaque. Sean Hammond approved minutes, Doug Bradetich seconded. Motion accepted unanimously. Doug Bradetich represented Steve Cuvala in his absence at the meeting. The Treasurer’s Report Program Funding year to date $3,427.82. Beginning balance as of 1/1/18 was $28,097.66. Cash balance is currently $31,525.48 in the positive. Doug went over the new budget for 2018. Russ suggested the rate $500 for Program Supplies & Equipment to raised to $1000, since projectors & screen are priced higher. Donation for the teacher tour was $250 raised to $500 and took off $250 on DC. Doug Bradetich moved to approve the treasurer report and Kurt Koetter seconded the motion. Motion carried unanimously. Sean Hammond moved approval of the 2018 Budget, Kurt Koetter seconded the motion. Motion carried unanimously. Communication Chair, Erin Bradetich, updated the committee that another newsletter should be coming out in another couple weeks. The CPA, (Matthew Peterson) sent in the 1023EZ report (Application for Recognition of Exemption Under Section 501(c)3 of the Internal Revenue Code) to the IRS which cost $275 to file on line. Colleen Meek called the IRS April 4th, 2018 to find out the status of the 1023EZ report. The report just went into review and it will take 4 to 6 weeks, around mid-May, to receive a written answer nay or yay from the IRS. The gentleman at the IRS did say to have the CPA file the 990N form, since it’s due May 16th. Colleen called Mr. Peterson, he will file the 990N form. When the letter is received from the IRS a copy will be sent to Mr. Peterson. Moscow Spring Meeting roughly 80 people in attendance. Madeline David was wondering how DC will charge a Tree Farmer by the tree farms or per tree farmer for the cost of SFI certificates. It is actually by tree farmer. AFF will be passing part of the cost of 3rd party forest certification on the states. The committee decided to charge by tree farm but it will have a cap for the tree farmers that have multiple tree farms which will be $50.00. The $10 will go towards the 2019 audit also. Doug Bradetich made a motion to charge $10 per tree farm with a cap of $50. Kurt Koetter seconded the motion. Motion carried unanimously. Chris Schnepf suggested putting testimonials about the $10 fee in the newsletter. Mary Fritz asked, if everyone has a good email address. Not all tree farmers have an email address and there’s a few with bad addresses. John Lillehaug suggested that getting the monies from the tree farmers earlier, move the date up to July. John Lillehaug moved to have a committee get together to find out the correct number of tree farms and have a logic approach for implementing a billing system for the tree farmers. Chris Schnepf seconded the motion. Russ asked for volunteers to be on the committee. Doug Bradetich, John Lillehaug, Tim Schaffer, and Colleen Meek will be on the committee. The committee will contact Madeline and Kirk David to see how IFOA has handled their billing issues. UI Nursery Advisory Committee consolidated a seat for IFOA and ID Tree Farm. Janet Funk talked about different representatives on the Nursery Advisory Committee. 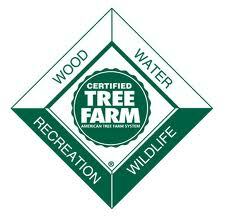 It was suggested by a member of the tree farm maybe they should consolidate the IFOA and ID Tree Farm voting position. Members of the Tree Farm Committee felt comments were misguided and unauthorized. It’s believed all tree organizations should have their own representation on the UI Nursery Advisory Committee. Kurt Koetter moved that to accept the letter that was written to rescind the motion regarding the “NIPF” (Non-Industrial Private Forestland) representation and restore the committee members to their previous designations. Sean Hammond seconded the motion. Majority in favor. ID-SFI annual meeting voted funding new units. PLT will be focusing on workshops, core subjects and activities for 6th to 12th grades. There were 43 teachers that went on tour. Stem outreach-grant ID State ED-donated by Clearwater Paper. There were nearly 200 photographs submitted. The Photo contest winners: Grand Price and winner 11-12th grade was Miranda Fry. 10-11 Kaden Grow, 7-8 Tegan Garrison and 5-6 Elise Pearse. PLT offers Forestry Grants up to $1000 to schools and youth organizations for environmental projects. May is Wildfire Awareness Month. Jane announced it would be her last meeting representing PLT. Mary Fritz will be taking her position. The ILRCC Assessment Core Team continues to work on the updates and revisions to the Forest Action Plan. Attention has been heavily focused on the forests “Threats and Benefits” section of the FAP. The Western Fire Manager grants were reviewed and found to be within the scope of action, and the funding limits. The LSR (Landscape Scale Restoration) projects were reviewed. The Forest Legacy Program update showed that the Hall Mountain/Kootenai Valley project (3281 acres) has been funded. There are two other projects that are in “application status”. The Legacy Program, to date, has 30 purchased conservation easements on 95,768 acres, and 8 donated conservation easements on 2661 acres. Approximately 86,200 acres are open to public recreation, free of charge, in perpetuity. A report on the Treasure Valley Carbon study was given. Among other things, it shows that tree canopy in an urban setting has more monetary value, for carbon sequestration, than the same amount of canopy in a forest setting. Forestry Contest Athol, Idaho – May 10, 2018 at Careywood-Delay Tree Farm-mile marker 454 W side of 95 – Forestry Contest will start at 9:30. Volunteers should arrive by 7:45a.m. Kurt Koetter needs volunteers to help clean up on April 20, 2018. On April 25th they will be setting up for the contest. Karen Robinson of IDL, is the organizer to contact if a person would like to volunteer. Forestry in Southern Idaho Tour, Wed May 16th, Council, ID. John Lillehaug is the contact person regarding the tour. John said, everything is set to go. Russ Hegedus and Tim Schaffer will be attending the tour. Russ Hegedus said, the position is still open. Madeline David suggest asking a retired person that might like to help with the training for inspectors. Required: What has been assigned & what’s been turned in. District 1 has done 7 required and 12 left. District 2 has 2 required to be done. District 3 had 1 required and that has been completed. Optional and Pioneer’s What has been done? There has been 8 optional done. There are 40 left which majority of the optional have been assigned to inspectors. The vote on assessing each tree farmer a $10.00 annual fee per tree farm number to cover the cost of SFI Certification. The vote on assessing the tree farmer an annual fee of $10.00 was discussed earlier in the meeting. Brainstorm ideas and points of interest to assist landowner. Brian Kroetch wasn’t in attendance at the meeting. Russ Hegedus will circle back with Brian. Remind Landowners and Inspectors One Plan Template does include Stewardship. Russ Hegedus suggested the inspectors remind the landowners that One Plan Template does include Stewardship. If, they have Stewardship they can be dual involved. Next Meeting date: Thursday, July 19, 2018. Russ Hegedus adjourned the meeting at 12:00p.m. Doug Bradetich moved the meeting be adjourned. Sean Hammond seconded, motion carried unanimously. Enter your email address below to receive news and event updates from ITF.